Today I will learn a new braid. 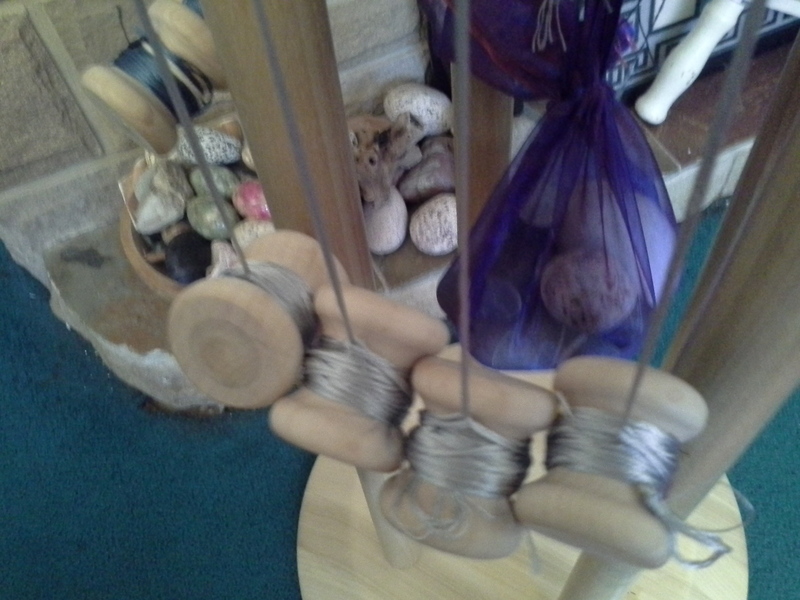 Keiru No Kimo is a 16 tama 15th century braid. 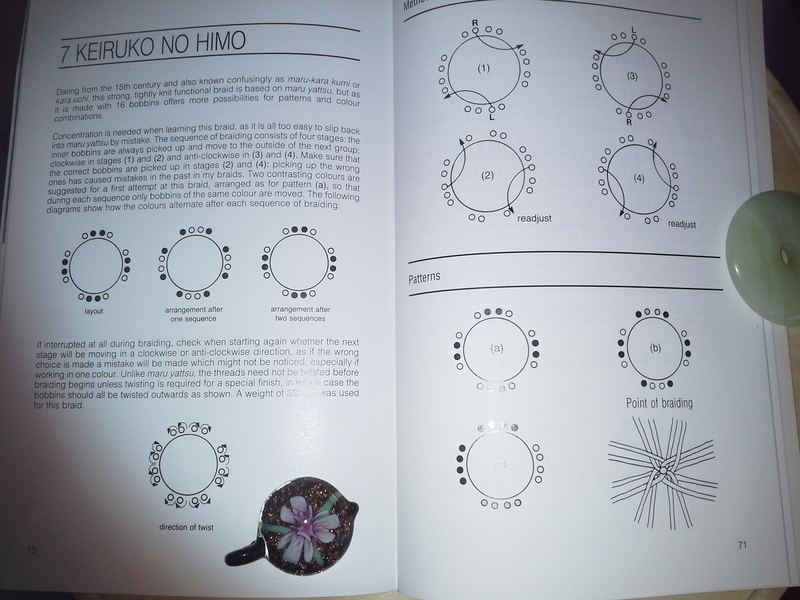 Source: Catherine Martin, Kumihimo – Japanese silk braiding techniques, basic marudai braids. 1986 Old Hall Press. Pages 70-71.
the setup is pattern (c), three colours in slate blue, silver grey and pink, using DMC rayon embroidery thread. 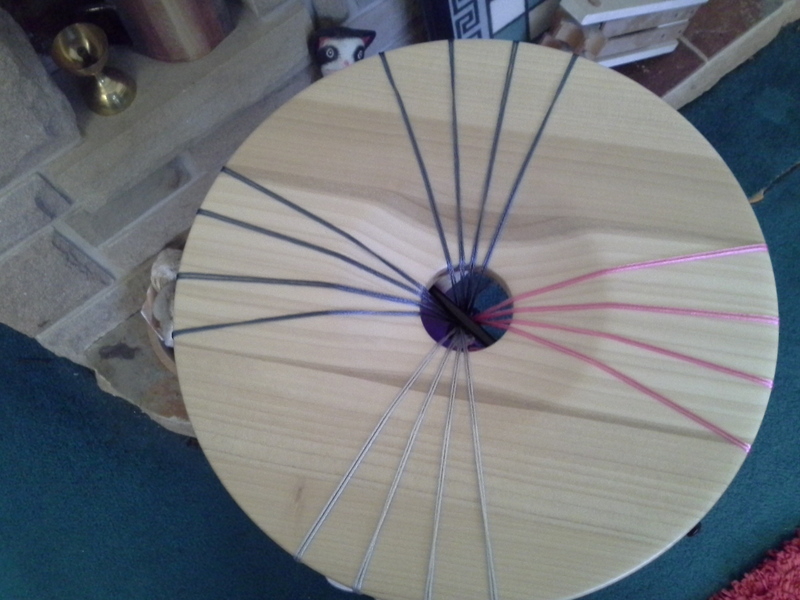 Each warp is two full strands. Main colour in north and west – slate blue. Silver grey in south and pink in east. 70 gram tama with 800 gram counter weight. I have used sone of my beach stone collection to make up the weight. Crafty lady, eclectic interests, permanent leaning to the left, enjoys a good cuppa tea. Get the kettle on, will you? Ta!